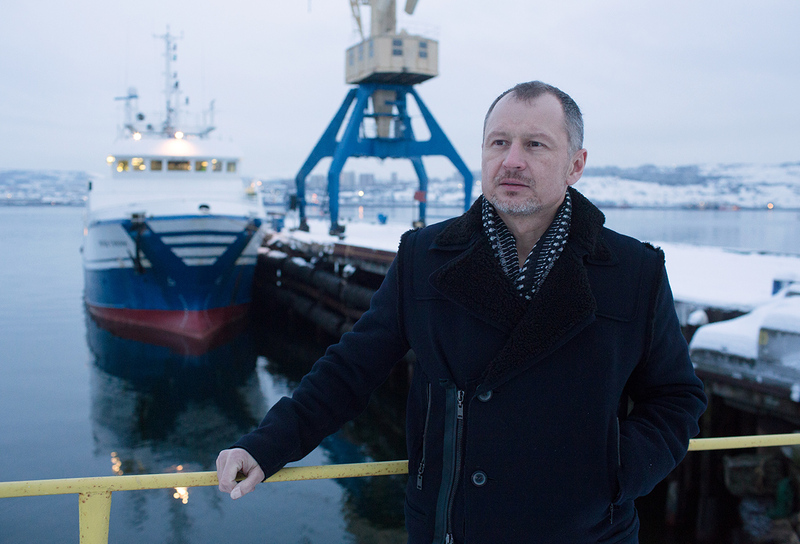 Vitaly Orlov, billionaire and chief executive officer of Norebo Holding JSC, poses for a photograph while standing on the quayside near the Yakov Gunin, a stern fishing trawler in Murmansk, Russia, Jan. 13, 2017. The ban on foreign food imports into Russia, introduced by the Kremlin in response to U.S. and EU sanctions, has sparked a surge in demand for domestic products. Bloomberg has noted the appearance of a new dollar billionaire in Russia. The business news agency, says Vitaly Orlov, co-owner of fishing giant Karat Holding, is worth now $1 billion - even though his name is not to be found lists of the most influential businessmen. "Orlov has built a fortune that the Bloomberg Billionaires Index values at $1 billion, benefiting from the colliding forces of global trade and sanctions that today define Vladimir Putin’s Russia. While his business derives as much as 60 percent of its sales from outside the country, it’s also seen a surge in domestic consumption as sanctions limit food imports," writes Bloomberg. As a result, Norebo Holding, which is part of Karat, began satisfying domestic demand for mackerel, herring and capelin (a type of smelt) without reducing the volume of its fish exports. Orlov has been working in the fishing industry since 1993. His first enterprise, Ocean Trawlers - along with Norebo now part of Karat - was founded in 1997. Orlov is also head of the Murmansk Trawling Fleet and the Rybprominvest joint stock company.